Experience how well craft beer pairs well with gourmet comfort food! 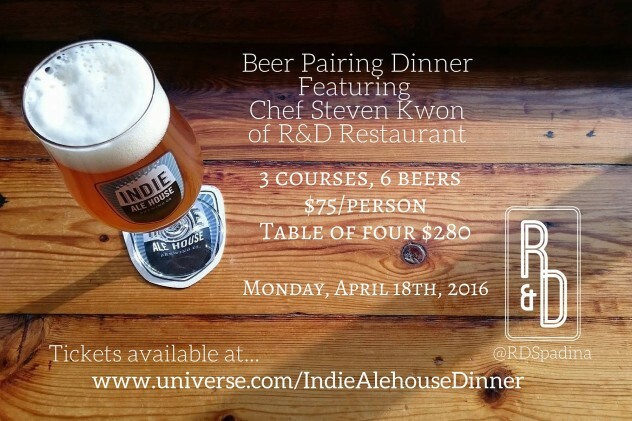 On Monday, April 18th, Indie Ale House is having a very special evening pairing great beers with great food. Click on the link above to get all the details for the dinner. In an earlier post, we mention how beer and food pairings get neglected and that there is far more focus on wine and food pairings. This evening will change your viewpoint forever. At Indie Ale the selection of Craft Beers is excellent and they come up with great food pairings by choosing restaurants that serve great food. The two together are a match made in heaven. Hope you can join us for this great experience! ← New T-shirts are in!